Most mined diamonds come from war-torn regions in Africa. 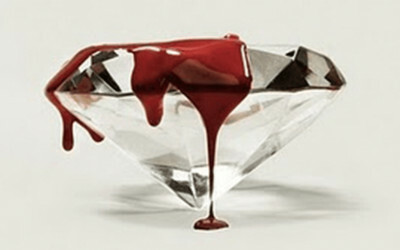 These diamonds fund civil wars and are commonly known as “blood diamonds” or “conflict diamonds”. Even in conflict free regions, sub-standard working conditions, child labor, and human rights abuses continue In mining operations around the world. Conflict diamons have been estimated to be 4-15% of the total world annual production. They contribute to the deaths of over 3 Million people a year; forcing millions out of their homes and turning children into slaves or soldiers. These diamonds are still in circulation undetected in the world diamond market. All of our cultured diamonds are grown in controlled facilities by engineers and scientists. They are cut in Antwerp by skilled cutters and fully disclosed as laboratory grown. Our diamonds are origin guaranteed. 100% conflict free.